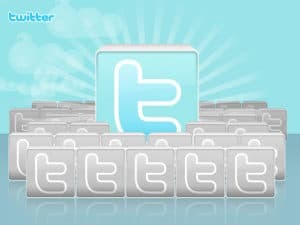 Twitter is supposed to be a social networking site that allows users to connect with their followers through simple 140-character tweets. Tweets can be anything from a simple note about what you’re currently doing to advocating for a specific non profit. Either way, it is meant to be used to share information, and by allowing users to attach links, it can help direct other users to websites or videos that users find interesting. Unfortunately, not everybody uses Twitter for the right reasons. Some individuals and companies have used the site to spam others with junk messages. Others have found what the most popular trending topic is for that day and use those popular hashtags to get their spammed messages in front of a large audience in the hopes that they’ll click on their link. The purpose of this type of spamming is to try and generate more traffic to their website. This is a big no no in the eyes of Twitter. Twitter has always taken precautions to prevent spamming on their site. Their development team is always working on ways to alleviate spamming by finding the initial spammers and blocking them from the site. They also keep track of the links that others place on Twitter. If the link leads to undesirable content or some form of malware, Twitter will shut it down. They have also employed anti-malware technology through their acquisition of Dasient. With this acquisition, Twitter has expanded their team to try and decipher spam messages and locate where they are coming from. While Twitter was shutting down users who continued to spam the site, they have recently filed a lawsuit to take a stand against those who continue to ruin the experience for others by constantly spamming the site. The lawsuit was filed in San Francisco and named TweetAttacks, TweetAdder, TweetBuddy, Garland Harris and James Lucero as allegedly violating Twitter’s rules by creating tools that are used to spam the site. 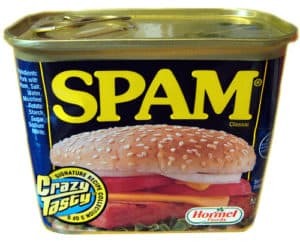 I spam on Twitter. What does this lawsuit mean for me? While the lawsuit was recently filed so there is no outcome just yet, the filing of the lawsuit alone shows the public that Twitter is not taking spamming lightly. Spamming is an awful way to try and generate web traffic to your site, and it can actually result in Google de-indexing you if you are caught using malicious tactics. If individuals and companies continue to spam Twitter, it will inhibit users from continuing to use the site for its intended purposes. If you are one of those people who spam Twitter, you may want to think again before doing so. The lawsuit proves that Twitter is aware of your tactics and that they are prepared to take legal action against you if you are violating their rules in order to try and generate website traffic through spamming. Don’t let spamming place you in court next to Twitter. Or even worse, if Twitter wins the lawsuit, you can be fined thousands of dollars if caught spamming on Twitter. Are a few spammed messages to increase web traffic worth thousands of dollars? Charlie Adams is a tech guru and social media expert who loves to write whenever he can find the time. He also loves proper grammar and often encourages his associates to proof their work with a grammar checker. He still uses them everyday to help him correct tricky grammar rules he sometimes forgets. Next story Is Your Latest Social Networking App an iPhone Spy App? Previous story Is Facebook Really Worth $100 Billion?